I have a feeling that my check liver light may come on this weekend. 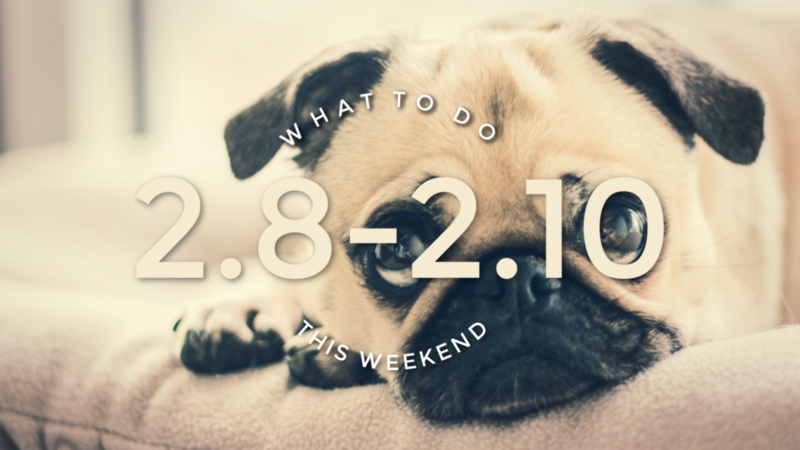 This weekend we have a ton of fundraisers that benefit our local community and they include drinking. 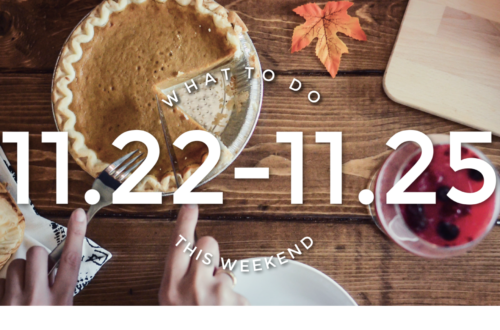 So beat those winter blues and attend a show, support a local cause, or feast on amazing food! 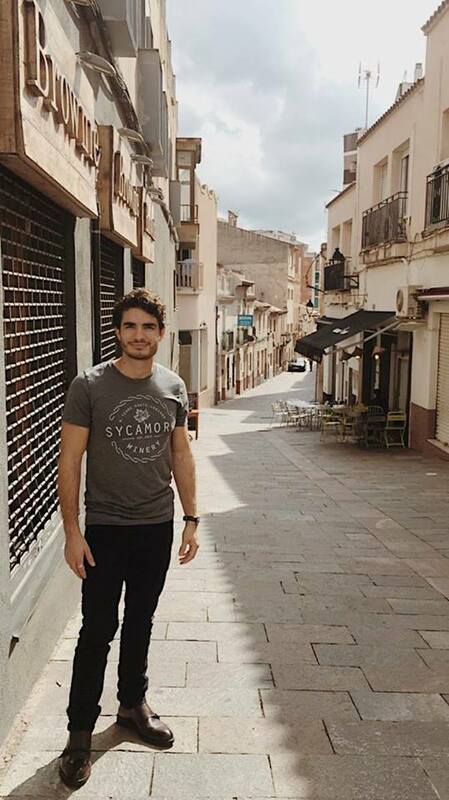 Mamma Mia, here I go again! The Community Theatre of Terre Haute is performing Mamma Mia Friday, February 8th-February 10th and February 15-17th. This musical will have you dancing in your seats.The stage comes alive with the music of ABBA as Sophie invites her mother’s three former loves to her wedding in hopes of meeting her dad. Directed by Karen Crispin. Rated PG. $20 adults, $15 students and youth. 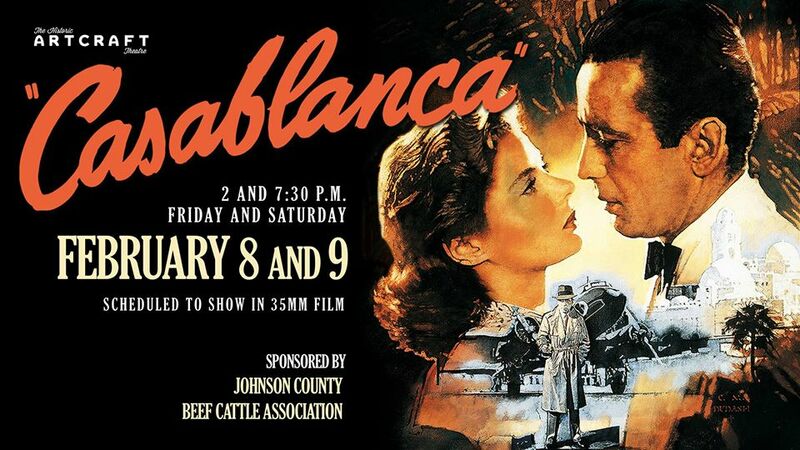 Weekend shows begin at 8, Sunday matinee is at 2:30pm. 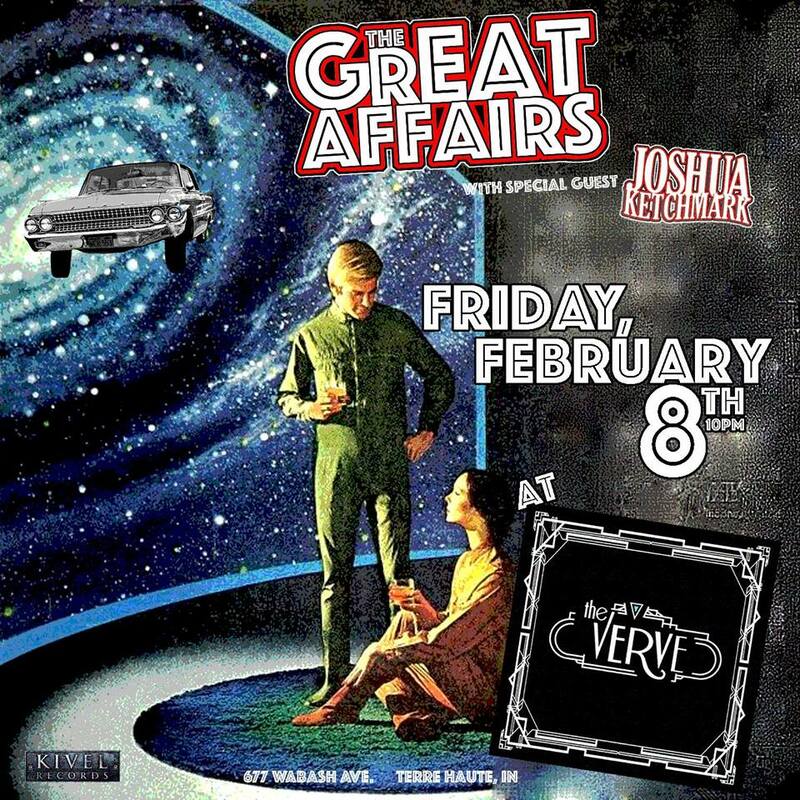 The Great Affairs with special guest Nashville singer/songwriter Joshua Ketchmark opening up with a solo acoustic set this Friday at 10pm at the Verve. While they may have cut their teeth on KISS and The Black Crowes, or Queen and Humble Pie, The Great Affairs simultaneously draw from the Pop well of such ‘80s icons as Rick Springfield and Bon Jovi, juxtaposing these elements with the sound of more contemporary acts like The Gaslight Anthem, Butch Walker, and The Stereophonics, to offer up the kind of sweaty, gimmick-free, big guitar anthems that’ll rattle your brain, just as easily as they might slip into lonesome troubadour mode and soothe your soul. The Great Affairs recently signed to NY-based Kivel Records for the release of their new LP ‘Ten & 2’, due in June 2018. Once again recorded with Grammy-nominated mixer and engineer Michael Saint-Leon(Buddy Guy, James Cotton), this record finds the band pursuing a more muscular, guitar-heavy sound, owing as much to their Classic Rock forebears as formative efforts had to the Singer/Songwriter model. Inspired perhaps by the 2017 covers collection ‘Six Pack’, where the band mined and re-imagined gems from ‘70s FM stalwarts like Thin Lizzy, Fleetwood Mac, and Cheap Trick, the forthcoming collection openly embraces their various influences to create a sound that is both comfortably familiar and refreshingly its own. 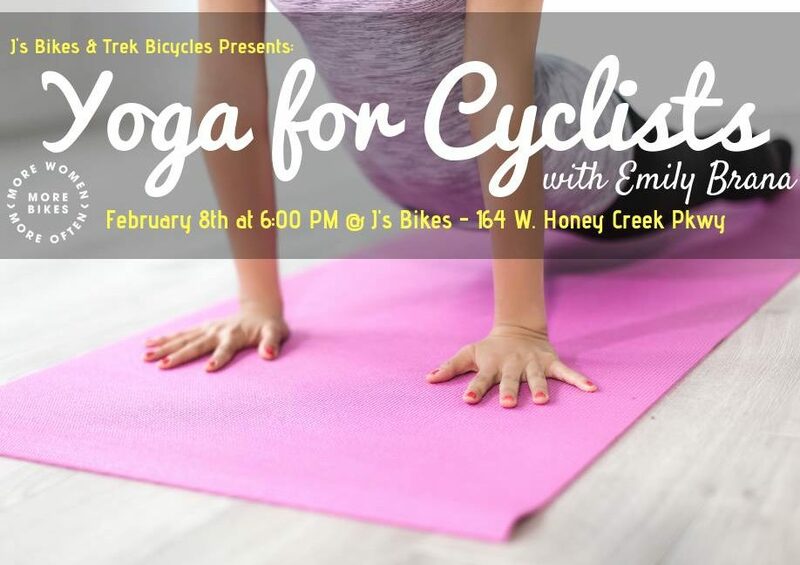 Please join J’s Bikes, Trek, & Emily Brana on Friday February 8th at 6:00 pm for a Yoga for Cyclists class. Please arrive at 6:00 PM, they will start the yoga session around 6:00 PM. This clinic will go over stretches and yoga positions that will benefit any cyclist. Please bring your own yoga mat and wear comfortable clothing. They only have space for 23 participants! Register here: https://www.bikereg.com/yoga-for-cyclists-with-js-bikes-trek Casablanca is playing at the Historic Artcraft Theatre in Franklin, Indiana this weekend. 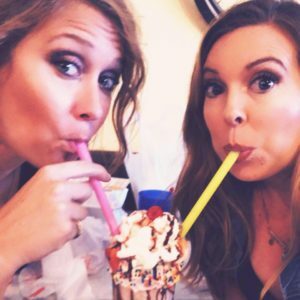 Friday, February 8 – 2 p.m. and 7:30 p.m.
Saturday, February 9 – 2 p.m. and 7:30 p.m.
Get the LADIES together and come out for a SPECIAL Girls Night Out, benefiting the Swope Art Museum and LAUREN COLE’S quest to become their next Mardi Gras QUEEN?? •A special Valentine’s Day themed WINE AND CANVAS with Yvette Morgan from Charm School. When the Wine and Canvas concludes, TH Brewing Company will have LIVE MUSIC. $50 VIP ticket will get you into the event, SPECIAL seating, a GOODIE BAG, a signature cocktail, and a canvas. $35 ticket will get you into the event, a signature cocktail, and a canvas. 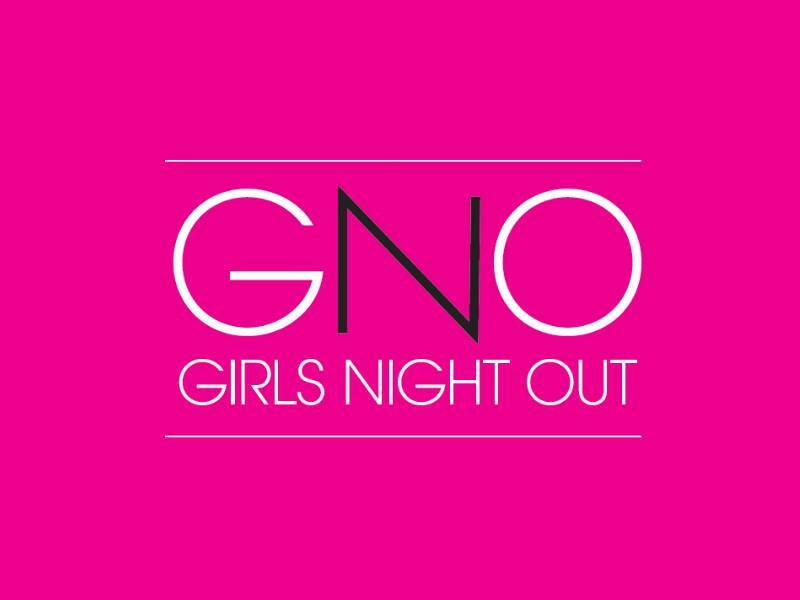 $25 ticket will get you into the event and a signature cocktail. 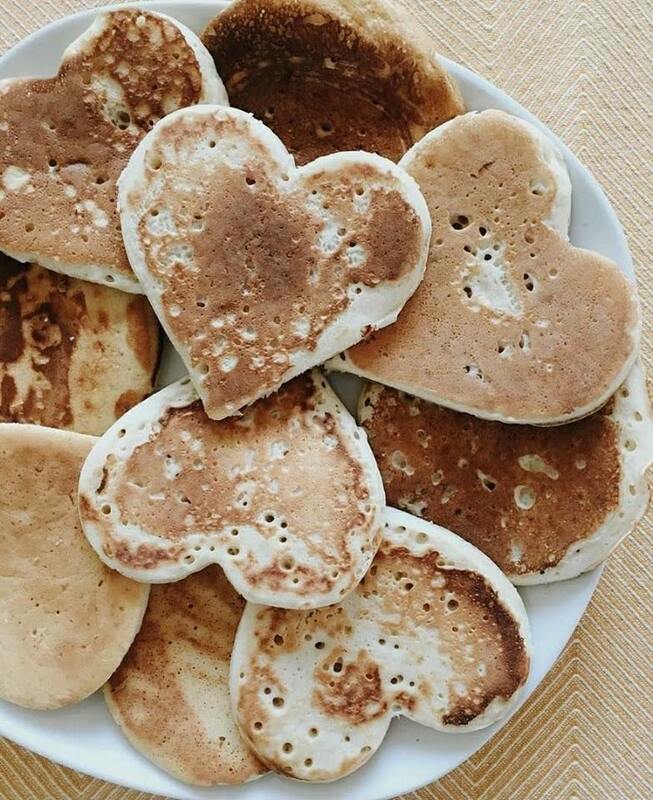 Join the Fly-In Cafe this coming Saturday for a Valentine’s all you can eat breakfast! 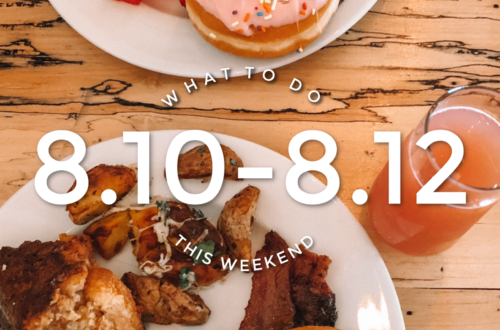 All you can eat pancakes, 2 eggs of your choice and either sausage patties or bacon with a drink from 9am-3pm. They will have coloring pages, hearts to decorate, activities and even Paint your own cookies to decorate (@ $3.00 a piece that’s a dollar off) Get into the spirit of the most Heartfelt day of the year! Senior (60+) 8.99 This February, be part of something great. Cupid’s Undie Run is a “brief” fun run that takes place in the middle of a BIG party. 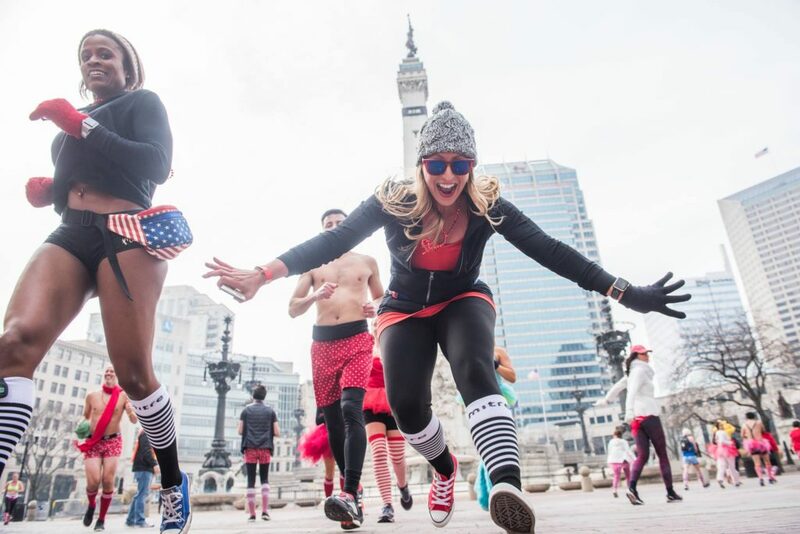 That’s right: party, run (a mile-ish, at your own pace), party – all to find a cure to neurofibromatosis, a genetic disorder that affects 1 in every 3,000 children born. We encourage undies, but we get that it’s not for everyone, maybe costumes are more your style? So whether you start a team with your friends, join a team, or run solo, just come out, have a blast, and raise some money for NF research! 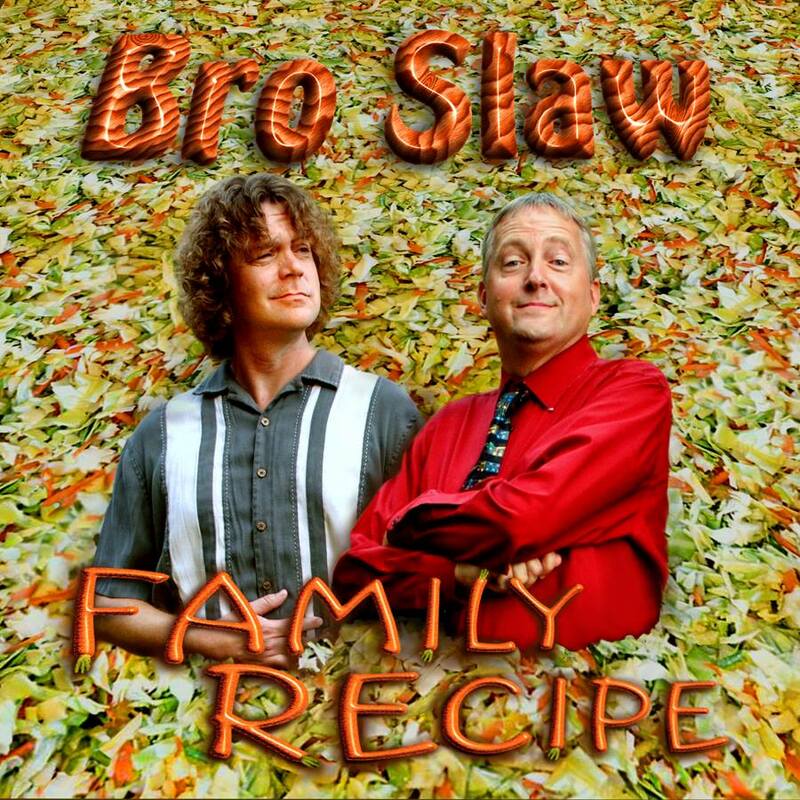 Sign Up Here Bro Slaw is excited to play at Charlie’s for the first time. They will play three sets of musical comedy. The show begins this Saturday at 8pm. Students at Indiana State University and supporters around Terre Haute will be “Freezin’ for a Reason’ this winter as our signature fundraiser returns to campus! The ISU Polar Plunge will take place this Saturday at 9am at the ISU Student Recreation Center. 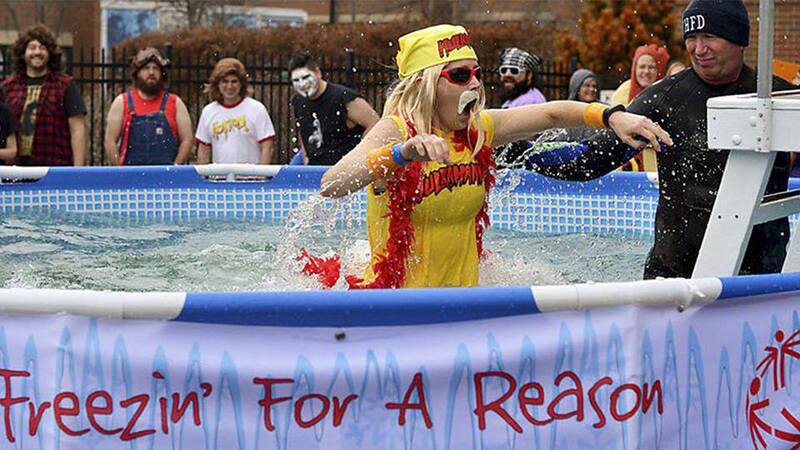 Visit www.polarplungeIN.org to register, donate, or learn more about the #ISUPlunge. *Spectators and guests are welcome, but all participants are asked to register in advance and to raise a minimum of $75 in pledges. Register online now: bit.ly/2Cu6MqS. Jumping into a frozen lake, river, or other body of water in the middle of winter may seem like a crazy idea, but over the past 20 years, thousands upon thousands of Special Olympics Indiana supporters have risen to the challenge, braved the elements, and made our annual Polar Plunge a huge success. Celebrating 50 years of changing lives in 2019 and now serving more than 16,000 people across the state each year, Special Olympics Indiana is aiming to raise at least $1 million through the 2019 Polar Plunge season for the first time in its history. All funds raised will directly benefit current and future Special Olympics athletes. Come “wine” down at The Sycamore Winery throughout the winter months with live music, food, Big Leaf Brewing beer and, of course, wine. Saturday, February 9th, we will have Tiers Of Elegance Cakery providing yummy sweet treats while Ross David plays in front of our fireplace. 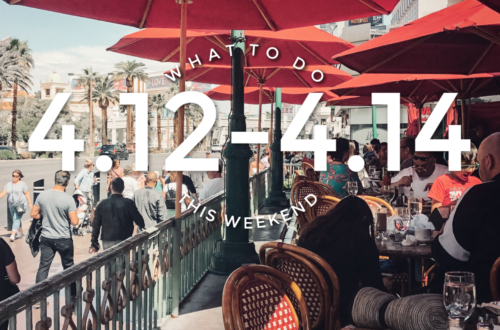 Join us for a fun and relaxing way to celebrate Valentine’s Day early, either as a date night or with the whole family. This is a FREE event and all ages are welcome. See you there! 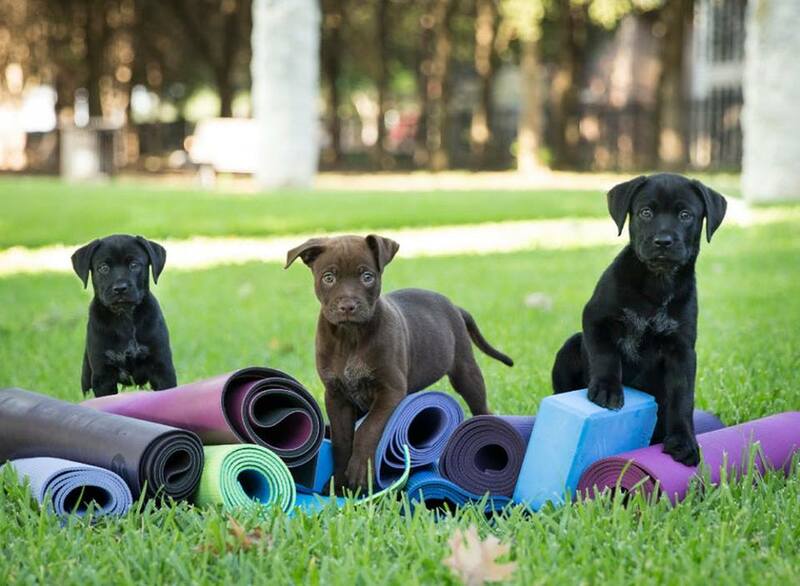 Join Trader’s Point Creamery for 60 minutes of beginners Vinyasa Flow Yoga in our beautiful Red Barn with adorable, adoptable puppies from Helping Paws Indy. They are looking for good homes! Oh, and the barn is heated! Just bring your mat or a towel. $39 per person. Advance tickets required. Purchase HERE. Enjoy satisfying soups, freshly-baked breads and delightful desserts that will warm your belly and your heart this winter season! 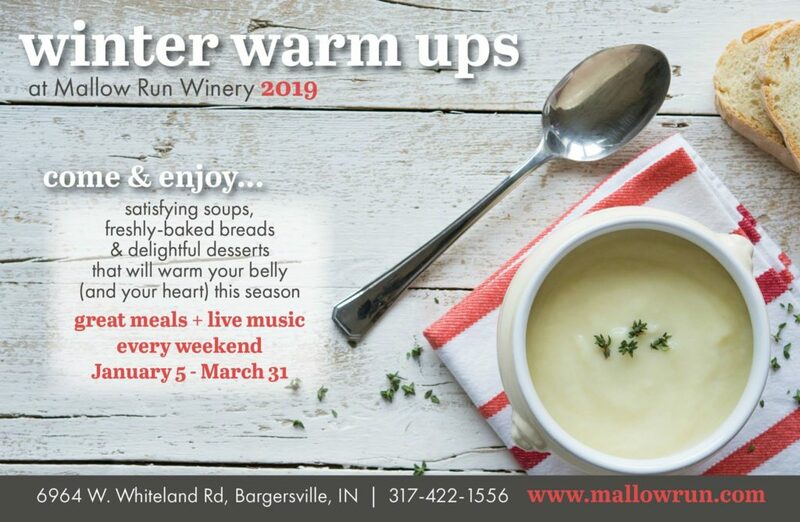 Great meals and live music every weekend January-March at Mallow Run Winery. Winery open 12-6pm. Live music on the covered, heated patio from 2-5pm. Complimentary wine tasting in the tasting room from 12-6pm. Seating is limited and on a first come, first served basis. (Sorry, no reservations.) Food and wine may be ordered at the registers. Please drink responsibly. Join the District Tap for their 4th Annual Mutts & Mimosa’s Valentines Day Brunch February 10th at 11am! They will have a Silent Auction with a wide variety of items for everyone, 50/50 Raffle, Bingo, Dessert Bar, Mystery Bag sales, and a Complimentary Mimosa Bar with ticket purchase. 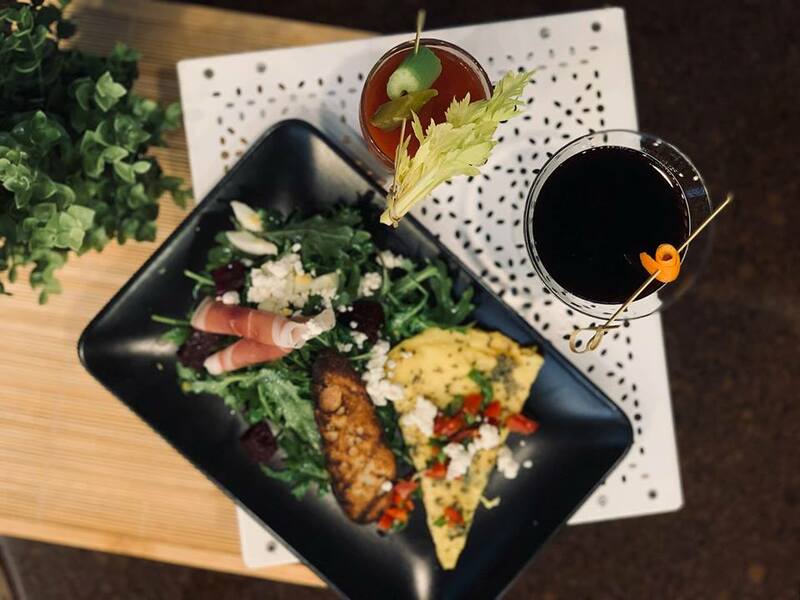 Enjoy great food from the District Taps Brunch Menu. They will also have a very special Helping Paws pup there to greet you. 100% of the proceeds go to Helping Paws Adoptable Animals! Purchase your tickets early, as this event has sold out the last three years! Tickets are $25.00 each. Please pay via Paypal Friends and Family to @helpingpawsonline@outlook.com and note Mutts & Mimosas Tickets in the description. They will have your name to check you in at the door!